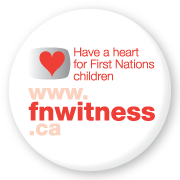 Are you interested in making a difference for First Nations children and youth? You can get involved at any time of the year but the Caring Society has created three annual events where children and youth and people from all over can lead acts of reconciliation in their community. Have a Heart Day, Honouring Memories, Planting Dreams, and Our Dreams Matter Too offer the opportunity to engage in peaceful and respectful action to show support for First Nations communities. Everyone can make a difference! Have a Heart Day: On February 14, people across the country can support culturally based equity for First Nations children by sending letters and Valentine cards to the Prime Minister, by hosting an awareness raising event in their school or community, or by spreading the word through social media like YouTube, Twitter, or Facebook. 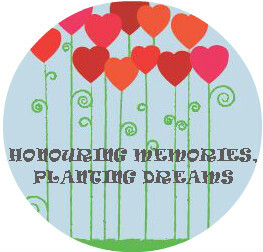 Honouring Memories, Planting Dreams: Celebrated in May and June, Honouring Memories, Planting Dreams invites individuals and organizations to join in reconciliation by planting heart gardens in their communities. Heart gardens honour residential school survivors and their families, as well as the legacy of the Truth and Reconciliation Commission of Canada. Each heart represents the memory of a child lost to the residential school system, and the act of planting represents that individual’s commitment to finding their place in reconciliation. 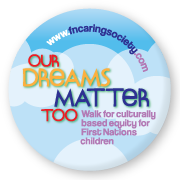 Our Dreams Matter Too: An annual walk and letter writing event on June 11 calling for culturally based equity for First Nations children. Ways to participate include writing letters to the Prime Minister or your Member of Parliament and/or to organize a walk to nearby mail box or around the playground, gym, or classroom.